Discover & Experience	Festivals and Events	The best way to discover the secrets of the Burren is to meet the people and celebrate with them. There are a number of festivals and events where local people celebrate their culture and heritage and invite others to join in. Come and meet the people of the Geopark who will delight in sharing with their culture and traditions with you. The Burren and Cliffs of Moher Geopark takes part in the European Geoparks week and National Heritage week. The Burren Rocks festival is an annual event organised by the Geopark team and celebrates the geological heritage of the region. We take part in National Heritage week by organizing a free themed event and support the Burren Ecotourism Networks Burren Food Fayre which celebrates the local harvest. 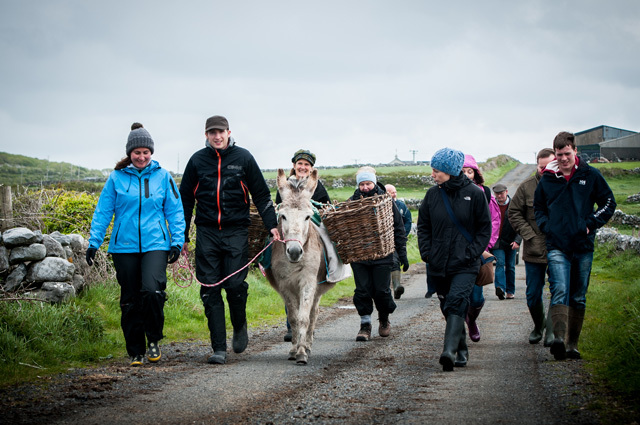 Taking place every Monday from May to October the Burren Food Trail Mondays series invite visitors to join in & get involved in the Burren food story. Visitors are given the opportunity to visit the producers and restaurants for one-off events to discover the history and traditional methods behind food production in the region. The Burren Rocks Festival celebrates one of Ireland’s most intriguing landscapes – The Burren and Cliffs of Moher UNESCO Global Geopark. 2017 will see the Geopark team teaming up with the guides at the Burren National Park to celebrate our unique geological heritage. Get immersed in all that is the Burren. Discover fascinating landmarks and important geological sites in the Burren National Park. Take a stroll through time in one of Ireland’s most intriguing landscapes and learn how the Burren was formed millions of year ago and how it became a UNESCO Global Geopark. There will be fun for all ages with walks, talks and a fossil hunt taking place in the Burren National Park. 11.30 -12.30: There’s Life in the Old Rocks of Clare. A talk in Ennistymon Public Library by Geopark Geologist Dr. Eamon Doyle about the fossils to be found in Clare. In collaboration with Bealtaine festival and Clare County Libraries. 12.00 – 16.00: Walk this (Burren)Way. A 4 hour – 20km walk along the Burren Way from Corofin to the Burren National Park with Rural Recreation Officer Eoin Hogan. This walk is largely along public road with some offroad sections including modest inclines but this is a marathon not a sprint so only suitable for those with appropriate levels of fitness. Return to Corofin using the Burren National Park bus from Gortlecka. Meet at NPWS Info Point Corofin. Important! Numbers are strictly limited to 25; Bring: Appropriate footwear essential. Water and snacks. Sunscreen. 11.00 -12.30: Reading the Burren landscape. Discover the ancient and more recent life of the Burren with Geopark geologist and National Park Staff guides. Suitable for families but the rough surface is not suitable for buggies. No dogs please. Dress appropriately for the terrain and weather, including sunscreen. 14.00 – 15.30: Bug hunt for children. Explore the beauty and fascination of some of the smallest and often overlooked creatures in the Burren National Park. Important! Numbers are strictly limited so book early. Bring: Enthusiasm and a willingness to learn! Dress appropriately for the terrain and weather, including sunscreen. 09.00 – 10.30: Bird call identification walk with staff of the Burren National Park. 14.00 – 15.30: Reading the Burren landscape. A walk through time with Geopark geologist and National Park Staff guides. Suitable for families but the rough surface is not suitable for buggies. No dogs please. Dress appropriately for the terrain and weather, including sunscreen. 15.00 – 16.00: Turning the first sod on new archaeological investigations in the Burren by Dr. Ros O’Maolduin, Dr. Ger Dowling and students from NUI Galway fieldschool: The Irish Fieldschool of Prehistoric Archaeology . The excavation aims to gain a better understanding of the burial rituals, beliefs and social structures of those who built and were buried in Parkabinnia wedge tomb. Meet at Parkabinnia (Kilnaboy-Carron road) at 3pm, no parking at site, please park to the north and walk 10 minutes to site. The Geopark team love to celebrate National Heritage week and will have a comprehensive programme of events for the 2017 celebrations. Check back in early 2017 for more details. 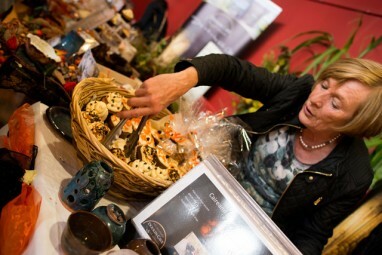 The Burren Food Fayre Weekend will hold its 5th annual food themed event in Lisdoonvarna on the October bank holiday weekend and forms part of the Winterage Festival, the Food Fayre showcases the fabulous Burren produce. Saturday will feature a variety of food workshops including preserving, fermentation and butchering skills, as well as a Pop Up Café serving tastings of the delicious locally produced food. Sunday’s activities include food stalls, chef demonstrations,a raffle and several competitions. The Burren Masterchef competition has a junior and adult section and requires entrants to submit a precooked themed dish to a panel of judges. 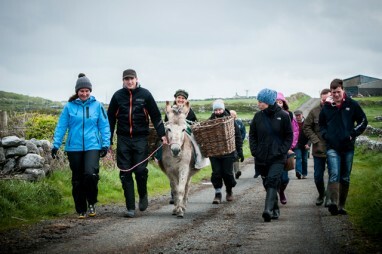 The Burren Beílíni competition is an internal event for Burren Ecotourism Members to establish the Burren Beílíni as a small bite of Burren produce. There will also be Best Taste of the Fayre and Most Attractive Stall competitions.